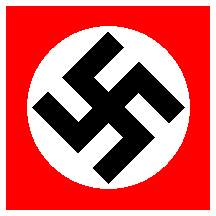 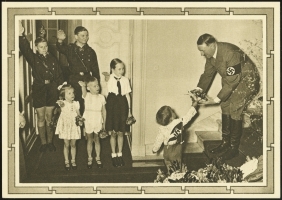 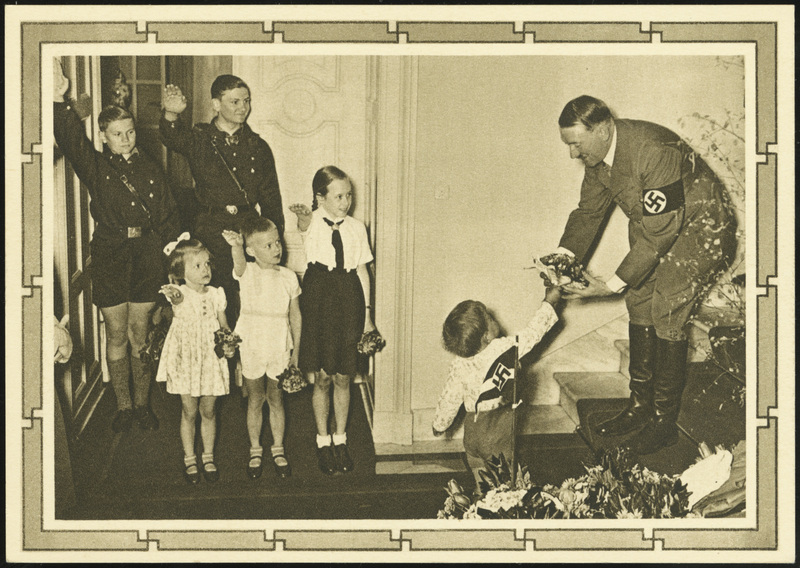 This series was issued on 13 April 1939 to commemorate Hitler’s 50th birthday. 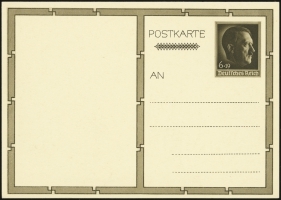 The stamp design is similar to the 1938 Nürnberg Party Rally stamp (MiNr 672) except for a change in color and omission of the “Reichsparteitag” text. 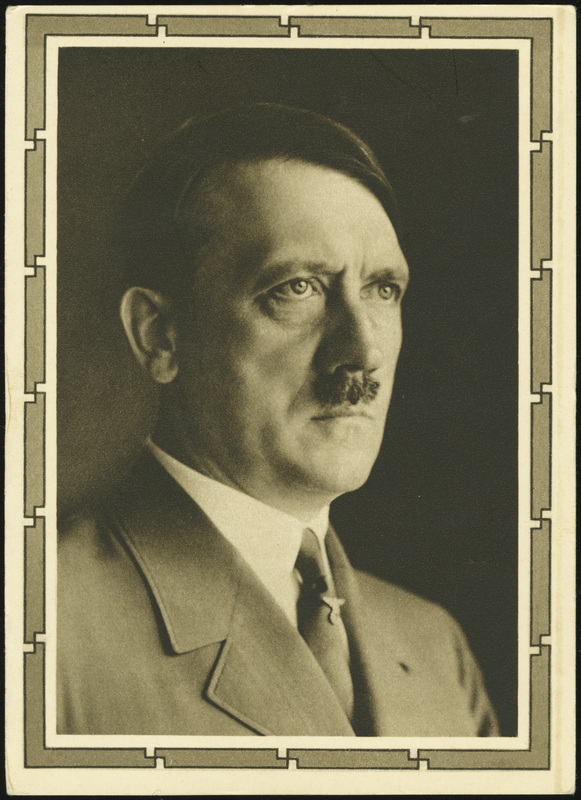 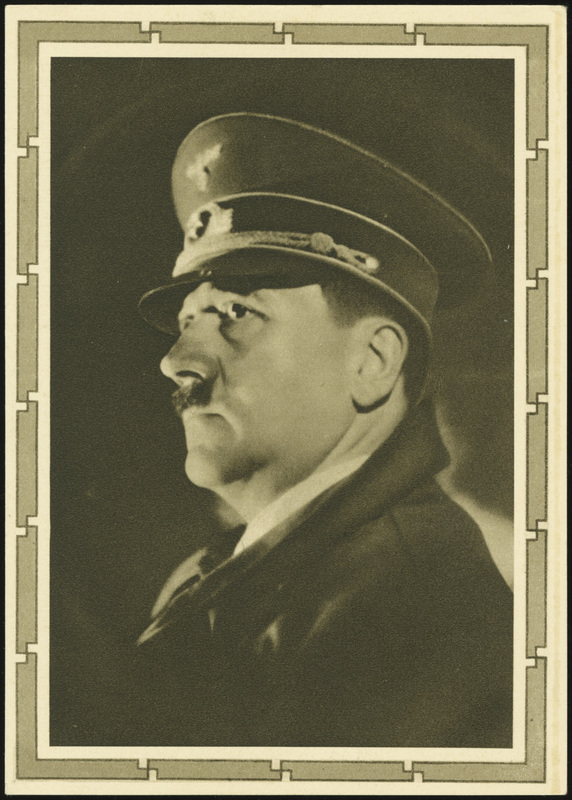 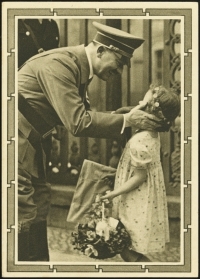 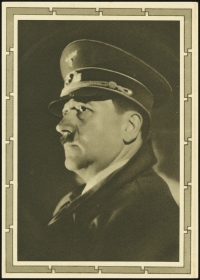 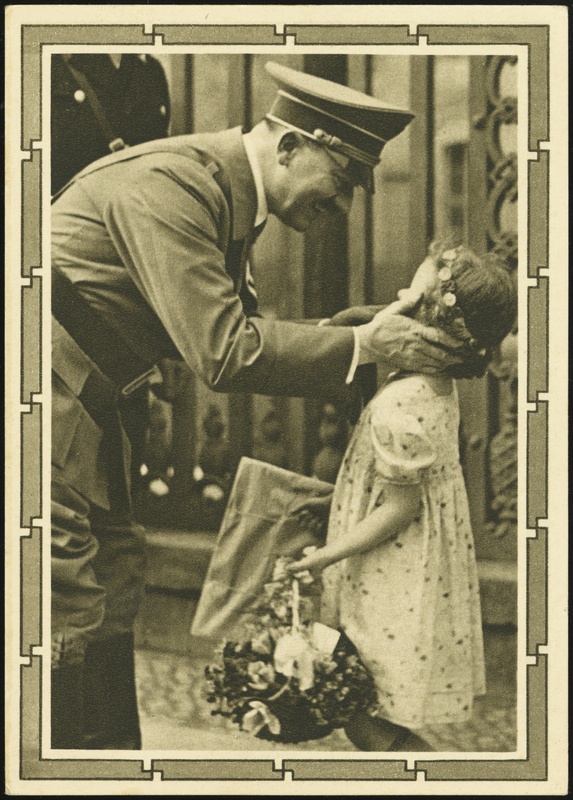 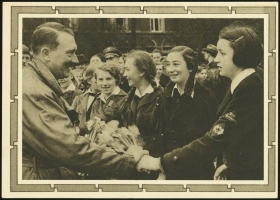 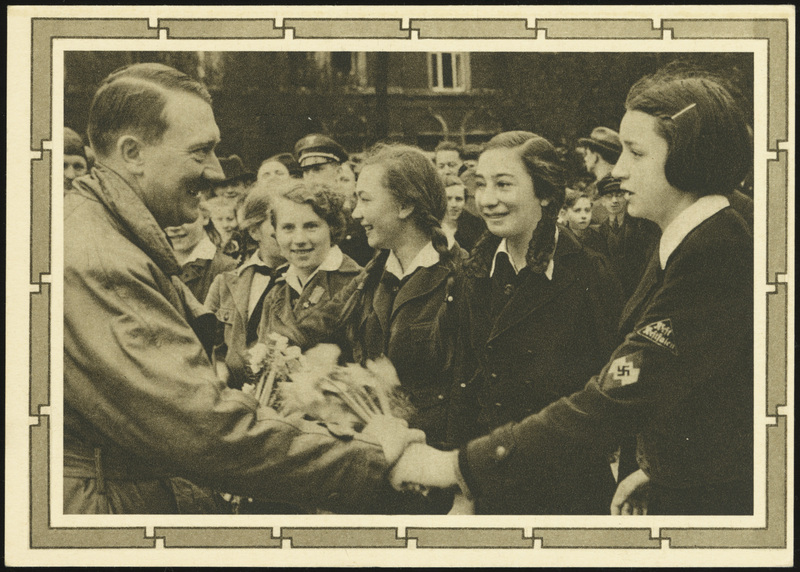 The reverse sides of the cards feature different photos of Hitler.